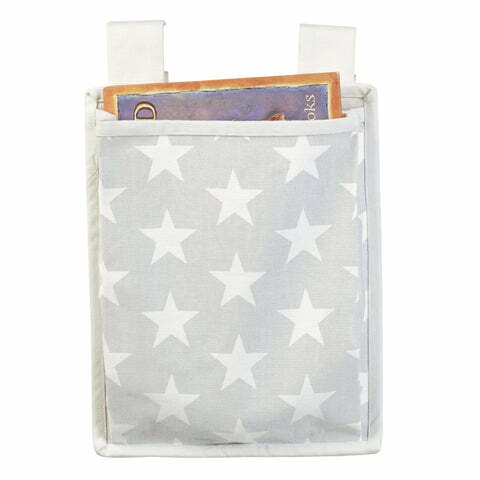 Bedtime Book Pockets - Grey Star (set of 2) | Great Little Trading Co.
Make sure your children have books close to hand for bedtime, even if they're lucky enough to sleep on the top bunk. This smart piece of kit just slips neatly over the rails of our raised and bunk beds, but please note it is not suitable for our Tate Mid Sleeper, Tate Bunk or Harbour Bunk Beds. 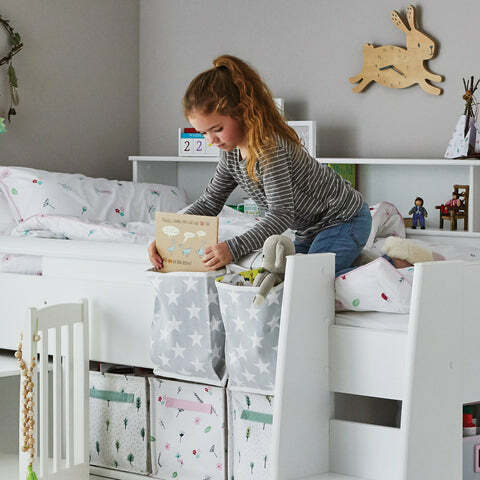 It's made from 100% cotton with velcro fixings and comes as a pack of two; it's designed to fit any raised bed with a safety rail, but please note it is not suitable for our Tate or Harbour Bunk Beds. 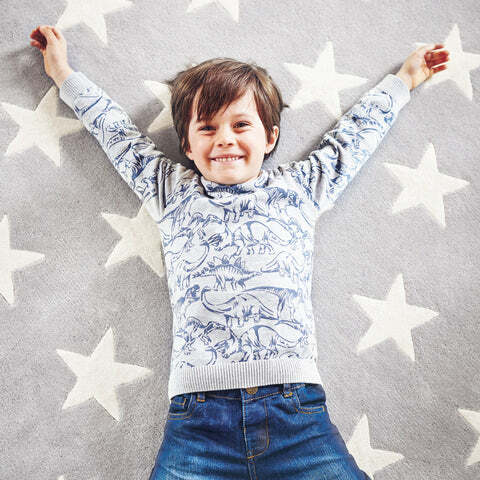 Team it up with our Grey Star Rug, the matching Children's Bedding, or our Grey Star Blackout Curtains.